Greeks have been known to be worldwide explorers, with a great nautical tradition that keeps up to our days. We keep up to the explorers tradition through our trips, sharing our findings with you. We are Chris & Mary. 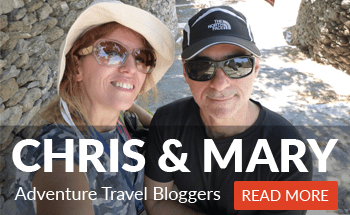 We are Travel Bloggers but our secret power is that we are Travel Professionals. Chris carries more than 15 years of experience in Travel/Tourism Marketing & Content Marketing. He is a really successful strategist for many companies in Europe and USA providing SEO, Content & Search Marketing strategies. Maria, has a PhD in Chemistry and is a Virgo. You know what that means: Really focused, totally organized. This keeps Chris in balance (he is a Pisces…) but likes to think that he is creative too. AGreekAdventure is what we love to do: We love to travel and share our findings. Are you a business related to travel? Want to learn how you can work with us? Visit this page. You may have heard many stories “out there” about how people dropped their jobs just to travel. We manage to both travel and enhance our professions! Read along an interview we managed to put together. Q: What is your moto? We are both constantly thirsty for life experiences, adventures, experiencing the old and mysterious, plus the new and adventurous. We want to share. 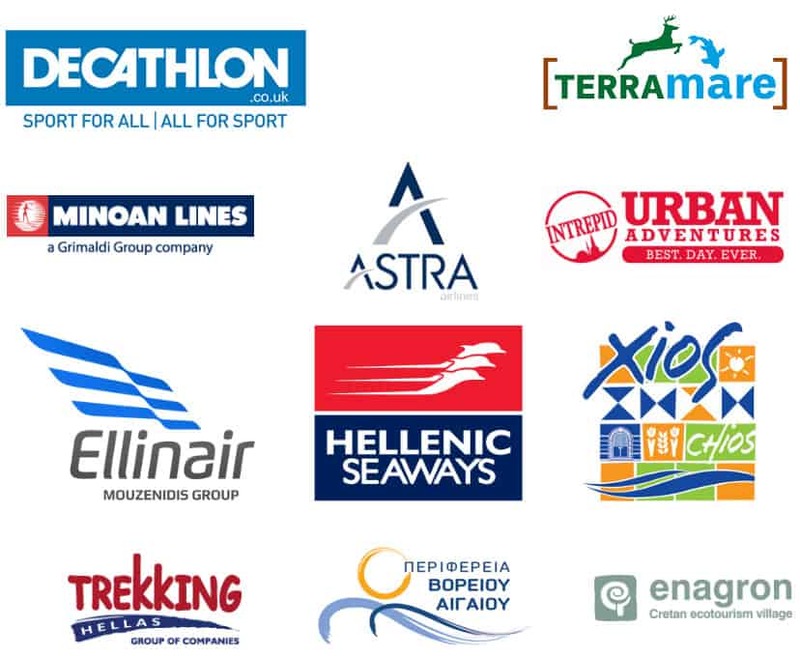 Thus, we launched AGreekAdventure, in October 2013. Q: Hey, are you so “young”? Yes, we are! Our site is not that old but as you see its full of experiences and new are added every day. People also send us theirs and we add them. 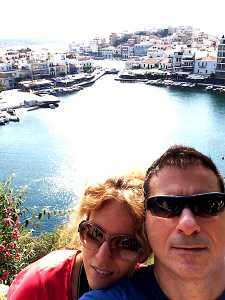 We travel around the world but since we were born in Greece we have many experiences from this country. So we are implementing them all. But, we are adding more adventures and experiences from around the world. So, our title is AGreekAdventure, which actually means that we -a team of Greeks- are on a life adventure trip. Q: So, what is your scope/goal? Actually? To share our experiences and those of others and have the ability to do all these trips. We also aim to raise our online audience to 2.000.000 visitors per month. You can help us with that by sharing what you read here, with your friends. Q: Do people like your blog? What is the feeling you get so far? Where to hike in X place? Can you suggest a week of activities for my family? Do you know a trust worthy person for paragliding in X island? What can I do in X, Y, Z place in mainland Greece? We get lots and lots emails asking such. Q: We have heard that many travel bloggers are invited for press trips. Do you participate? Yes. We like to visit places where someone also organizes an event for us to experience the place, but we also take off-the-beat tracks when we are there. Yes, when they have something interesting and relevant to say. Contact us . Q: What is your next trip? Socially, people support us and share our content. Technically, its ChannelDoubler which provides servers, hosting, designs, technical advices and digital marketing expertise. Business address is: 483 Green Lanes, London, N134BS, UK. Feel free to contact us through the contact form here. We would like to thank SimpleIcon and www.flaticon.com for their icons. In different parts of our website you may notice some advertisements. These are to provide us with the budget to keep things running.